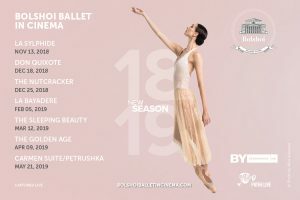 This is a work which marks a turning point in the genre: first, it is the oldest of the classical ballets which are known today, second, the ballet of the same name marks the start of dancing on pointe, third, it is not fortuitous that it was in that ballet that the ballerina — Marie Taglioni, the first ballerina of the romantic era — was to rise on pointe, the sylphide, after all, is a maiden of the air. La Sylphide — produced by the prima ballerina’s father Filippo Taglioni — was premiered in Paris in 1832. Two years later, it was seen by August Bournonville, the man who made the name of Danish ballet, who decided to do a version of it for his Company. He did not have enough money to acquire the rights to the score but, nothing daunted, he commissioned new music from a Danish composer. And so — in 1836 — the Danish La Sylphide which was to become famous the world over, saw the light of day. And, thanks to the reverent attitude to this ballet of generation after generation of Royal Danish Ballet dancers, it has been preserved for posterity. This new production of Bournonville’s La Sylphide at the Bolshoi is by the Dane Johan Kobborg who is eminently qualified to do the job. He was trained to dance Bournonville’s works from the cradle. At 18, he was chosen as a model for a demonstration of the Danish ’designer label’ technique, to be recorded on video under the title The Bournonville Technique. He has danced in nearly all the Bournonville ballets which have come down to us and he became one of the world’s leading interpreters of the role of James in La Sylphide. Finally, he produced his own version of the ballet for London’s Royal Ballet and received an excellent press. Inspired by heroic stories of brave knights, with his faithful servant Sancho Panza at his side, Don Quixote sets out on an adventure to meet his ideal woman, Dulcinea. With panache and sparkling technique, principal dancers Ekaterina Krysanova and Semyon Chudin lead the spectacular cast of toreadors, flamenco dancers, gypsies, and dryads in the Bolshoi’s critically-acclaimed staging of this exalted performance. A quintessential Bolshoi event. On Christmas Eve, Marie’s Nutcracker doll magically transforms into a prince and together their wonderful adventure begins. The Nutcracker invites audiences of all ages on a magical journey, through a world of enchantment, complete with dancing snowflakes and dolls that have come to life, accompanied by Tchaikovsky’s beloved score. The timeless holiday classic returns to the Bolshoi stage this December. The temple dancer Nikiya and the warrior Solor fall deeply in love, igniting heated passions and murderous intrigues when the Rajah and his daughter Gamzatti discover their forbidden love. La Bayadere is one of the greatest works in classical ballet history – a story of love, death and vengeful judgment, set in India. Dazzling sets and costumes, with one of the most iconic scenes in ballet, the “Kingdom of the Shades,” illuminate the tragic tale of the temple dancer Nikiya’s doomed love for the warrior Solor, and their ultimate redemption. A must-see theatrical event. On her sixteenth birthday, Princess Aurora falls under the curse of the Evil Fairy Carabosse and into a deep slumber lasting one hundred years. Only the kiss of a prince can break the spell. A resplendent fairytale ballet, The Sleeping Beauty features scores of magical characters including fairies, the Little Red Riding Hood, Puss in Boots, and a beautiful young Princess Aurora performed by Olga Smirnova, a “truly extraordinary talent” (The Telegraph). This is classical ballet at its finest. This event was posted by Pam Overton. Bookmark the permalink.